wow, I like the sky, awesome photos. Btw, pwede pala mag take ng pictures? d ako pinayagan eh..
Wow! Ang ganda naman. Feeling ko nasa heaven ako. hehehe! Very nice pictures and hope you all had a nice memorial day also. it simply shows how nature can display its beauty to awe us. enjoy your trip! Beautiful snapshots. Keep in touch, Manay! Salamat s pagbisita. Nice post, beautiful sky with little cutie. Beautiful colours in the sky. The clouds are always interesting as we fly over them, but my favorite is the sunset. I love the sunsets. Beautiful pictures. gands ang kuha mo Rose. never tried taking pictures while in a plane..hehehe. maybe one day i will attempt. you inspired me..
ako pala yong si dragon5 sis...lol! buti bumisita si ateAmz sau...lol! Beautiful seeing the tops of the clouds and also love the gorgeous sunset with the palm trees! Wonderful to fly above the clouds! Great pictures! Thanks for your visit! Have a great weekend. 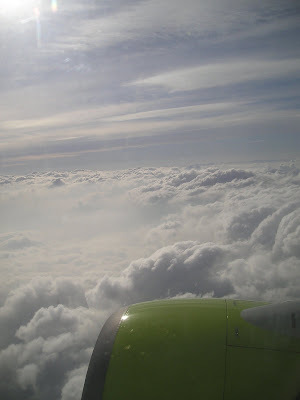 I have always loved flying..the view Above the clouds is just as spectacular as from below..great shots !! Love the shots from the plane. Quite heavenly. THe sunset is amazing too. Beautiful capture of the sky from above, wonderful view. The shots from the plane or so pretty and the sunset is great too. I love flying above the clouds. Great photo with the sun shining up there. 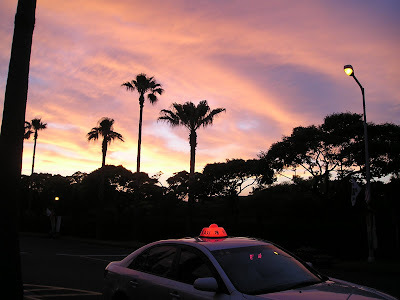 Love that sunset photo at the hotel, too. Beautiful cloud shots from the plane. Surely you would walk out there and have a look around the universe! I love shots out of planes!!! Awesome! Great colors in the last! The photos you put here are fabulus! I love especially the first one. 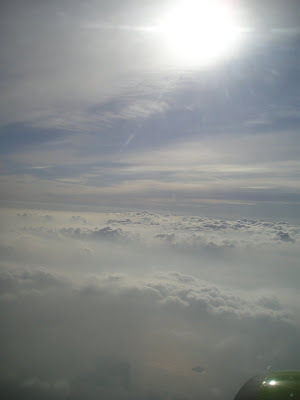 Beautiful Skywatch photos, I love taking pictures out of the plane window too :o) Thanks for visiting my blog! Beautiful shots of the clouds from the plane. That sunset looks amazing, the colors are so vivid. I like the shots from the plane, a different angle can be a good thing! That is a beautiful sunset! I also like your cloud photos. Our Halloween just started - we are looking forward to the rest of the day.